Confession: I’ve never made mussels at home before and I was very nervous how this was going to turn out. I was pleasantly surprised how easy and incredibly tasty these were, and to top it off, they’re pretty darn healthy. I picked up my mussels at Whole Foods, they cost me a total of $1.50, yes you read that right! I thought it was some sort of mistake, but they sold it by the pound and not per mussel. Because the husband is allergic to shellfish, I halved this recipe and it turned out perfectly. 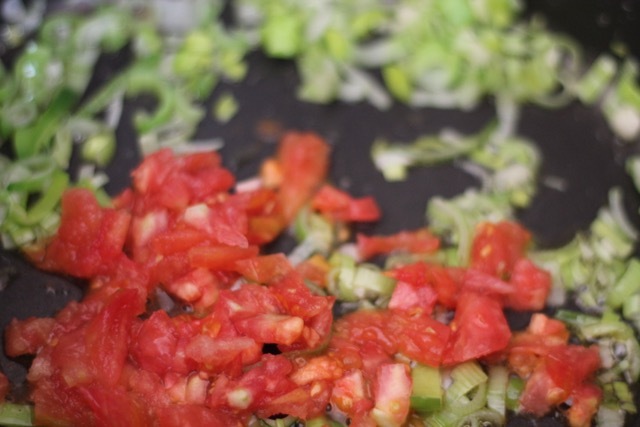 I’m realizing more and more each day the importance of cooking not just for your family and friends, but also yourself. It’s nice to treat yourself to a delicious meal for one when you’re alone and not just fall back on take-out or frozen meals. Just do it! 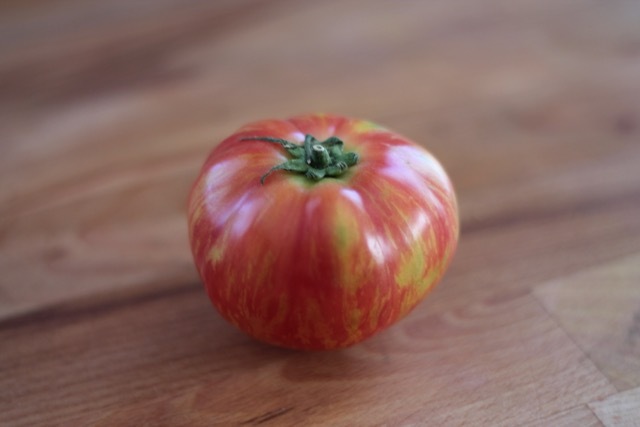 Because my mussels were so affordable, I splurged a little on this beautiful heirloom tomato. The difference in taste is dramatic! 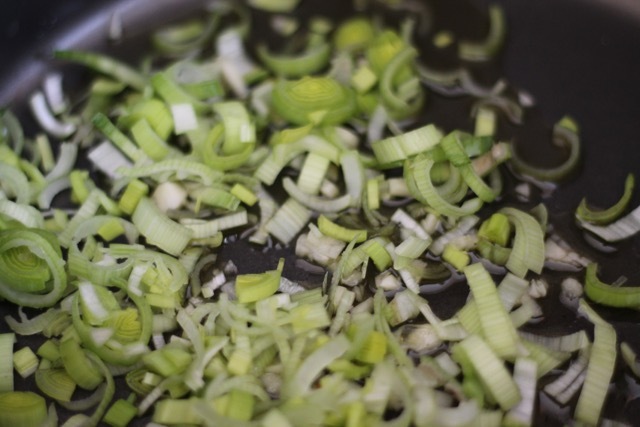 Then add in the leeks. 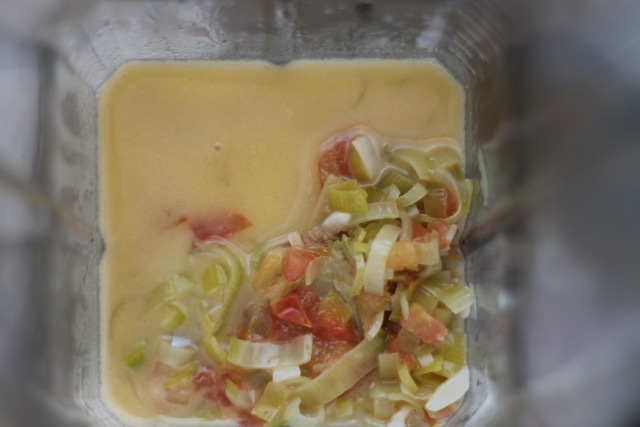 I realized I don’t use leeks enough, they’re delicious! Check to see if they’re all open, if not, give them another 30 seconds and pull them out. Be sure to discard all that don’t open. I got lucky and all of mine opened. I’m convinced it was the little pep talk I had with them. 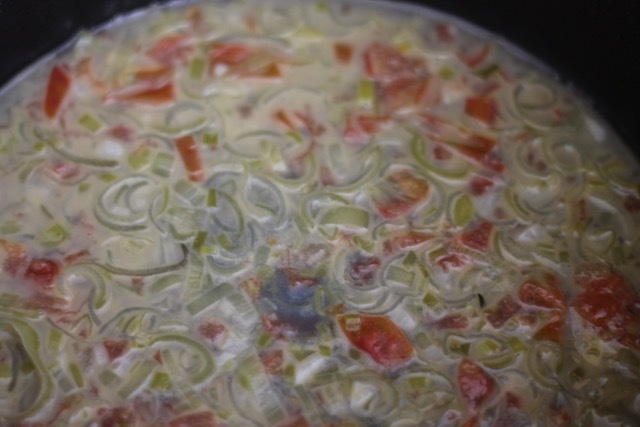 As you can see, the mussels released some delicious juices into the veggies. We’re going to get to this in a few seconds. 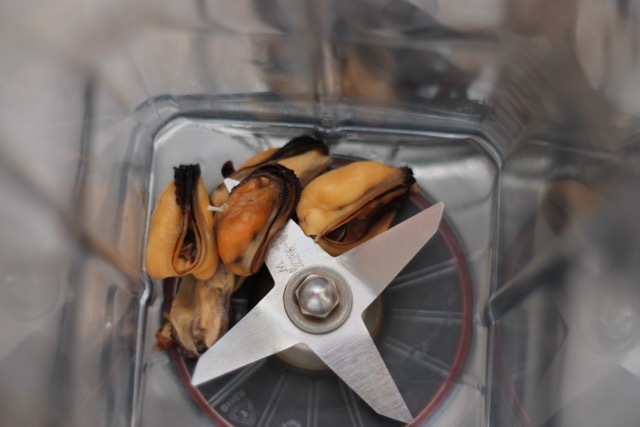 Take a few of the mussels and drop them right into your blender. These little guys are going to give the sauce that nice creaminess that you would normally get from…well…cream. 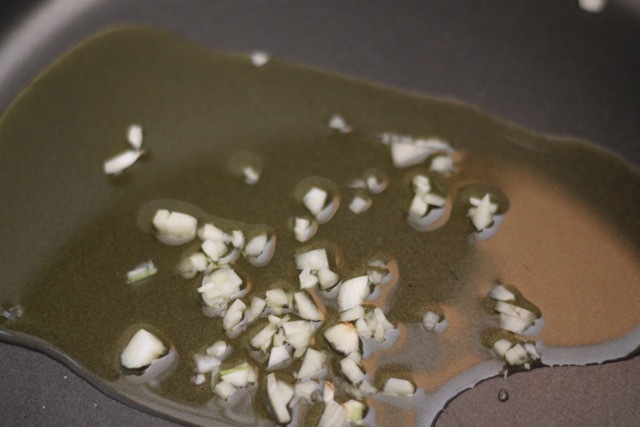 And blend until smooth! This sauce is TO DIE FOR!!! Pour over the leftover mussels and sprinkle on parsley. That’s all there is to it! Pour yourself a glass of that leftover wine you used for steaming, and enjoy a delicious meal in no time at all that’s super fancy 🙂 Serve with a nice piece of crusty bread for dipping. 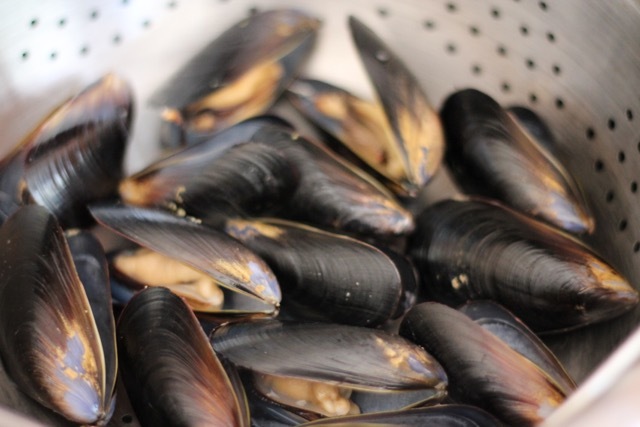 Don’t be afraid of mussels, they’re a lot easier to make than you think. I really hope you give this one a try! 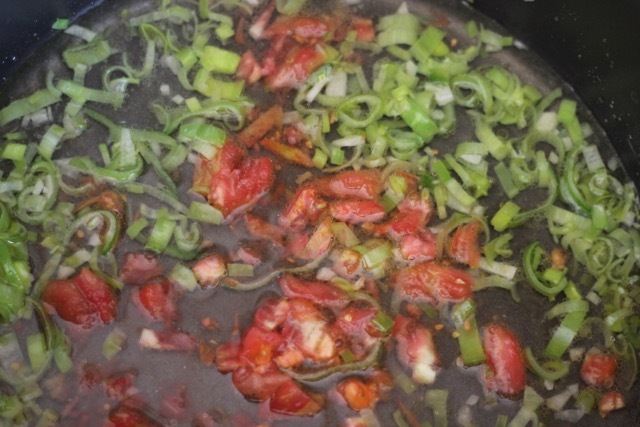 Add the chopped tomato and the wine to the stockpot and turn the heat to medium high, and bring to a simmer. Insert the colander of mussels into the stockpot and cover. After 3 minutes, check to see if the mussels have opened. 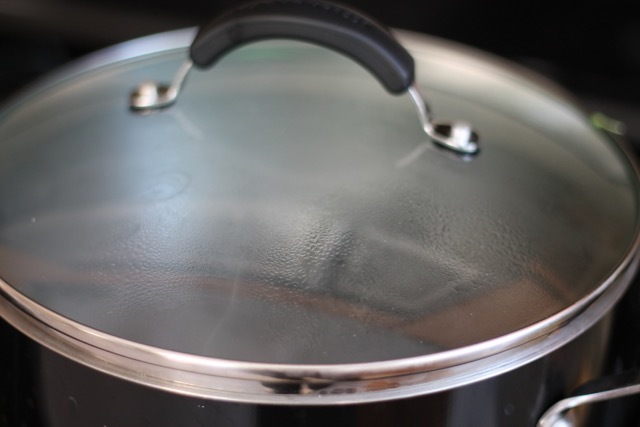 If some are still closed, cover the pot, and cook for an additional 30 seconds. Discard any unopened mussels. Place the mussels in a serving bowl. 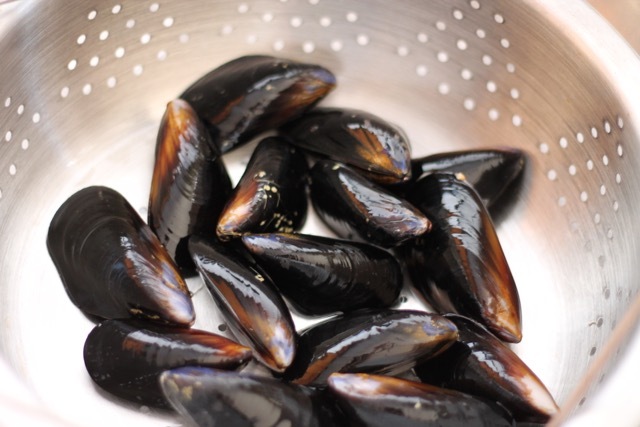 Remove 10 mussels from their shells and add them to the stockpot. 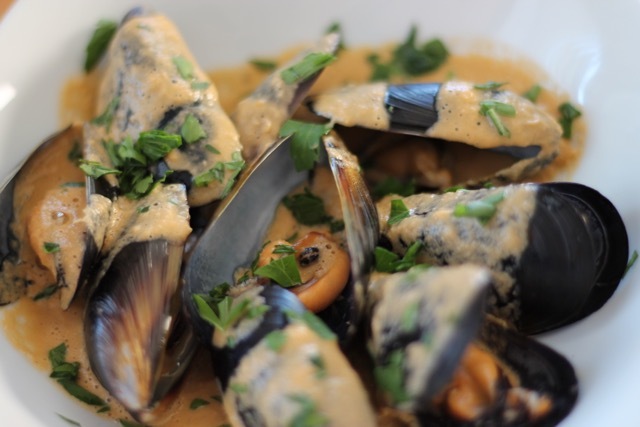 Using a stick blender or a bar blender, puree the mussels until the liquid is of a sauce-like consistency. Pour the sauce over the mussels and garnish with chopped parsley. 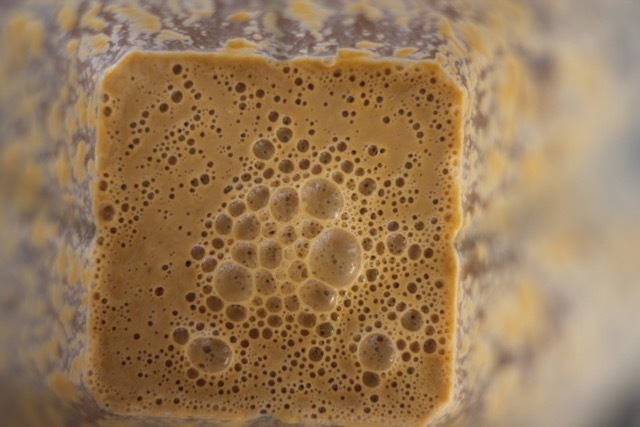 Serve with a loaf of crusty bread. 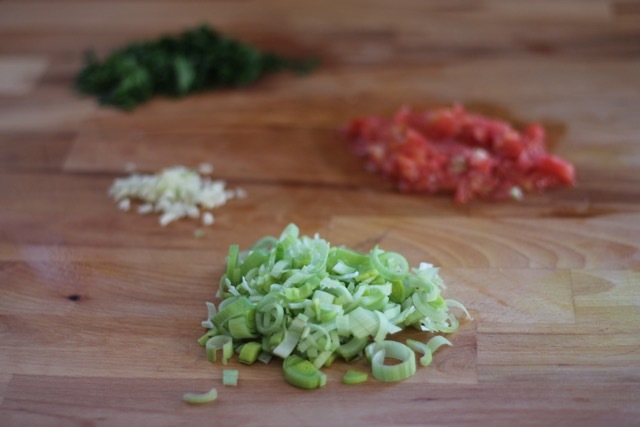 Here’s what I’m cooking up over at My Good Eats today! Great idea, to add some cooked mussels to the sauce! These look amazing and that tomato is beautiful! I was shocked myself how good they looked and tasted 🙂 Whole Foods has the most amazing heirloom tomatoes! It was hard to pick just one! Oh, you made this look easy! The one and only time I tried making mussels, about half of them didn’t open. I must have gotten some duds, or probably didn’t give them a good enough pep talk. 🙂 This looks beautiful and is convincing me to try again!